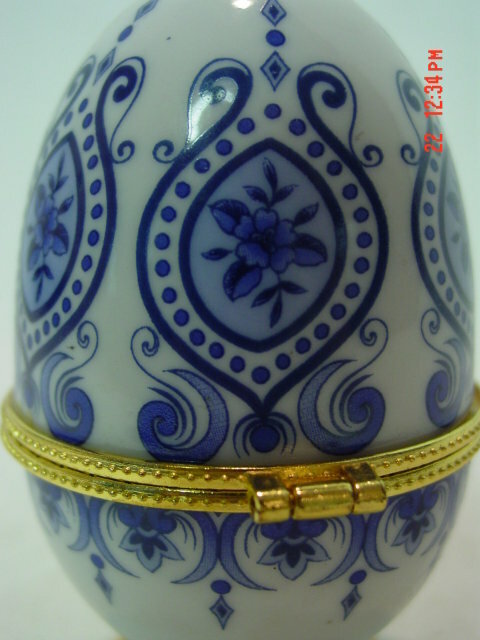 This pretty three footed trinket box is made out of porcelain and has a blue and white pattern. 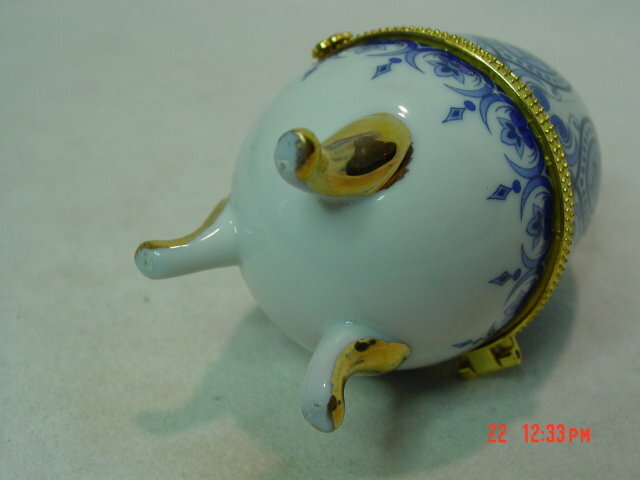 It has a gold metal hinge and gold painted feet. 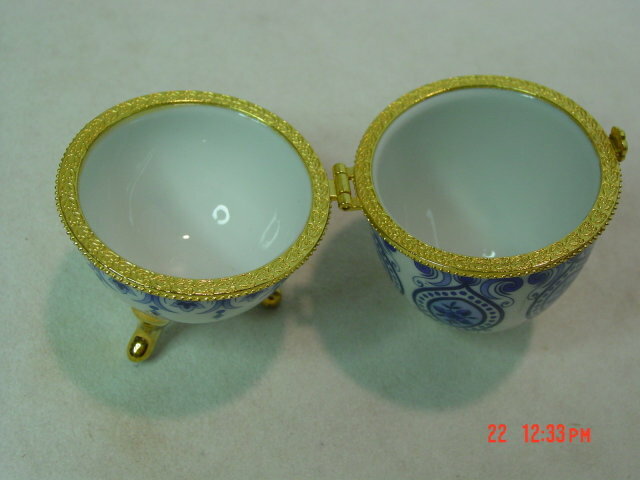 It is unmarked and in excellent condition. 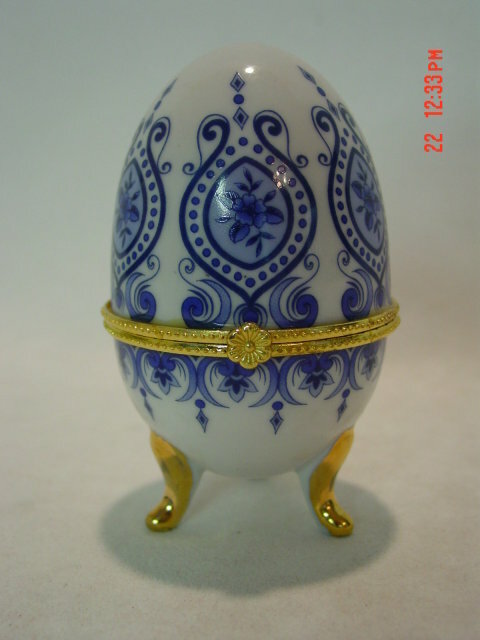 Items Similar To "Footed Blue and White Porcelain Egg Trinket Box"